New from R-Sport and part of the Pro range, Pumaspeed are proud to present the S-Max R-Sport Pro Intercooler. This intercooler has been designed using the same motorsport technology found in BTCC, WRC and Time Attack cars. Using a lightweight 60mm tall tube and fin core, the Pro intercooler offers a 40% increase in recovery effieciency over a bar and plate equivalent. If you are thinking of tuning your 2.5T S-Max, this is the intercooler to have. 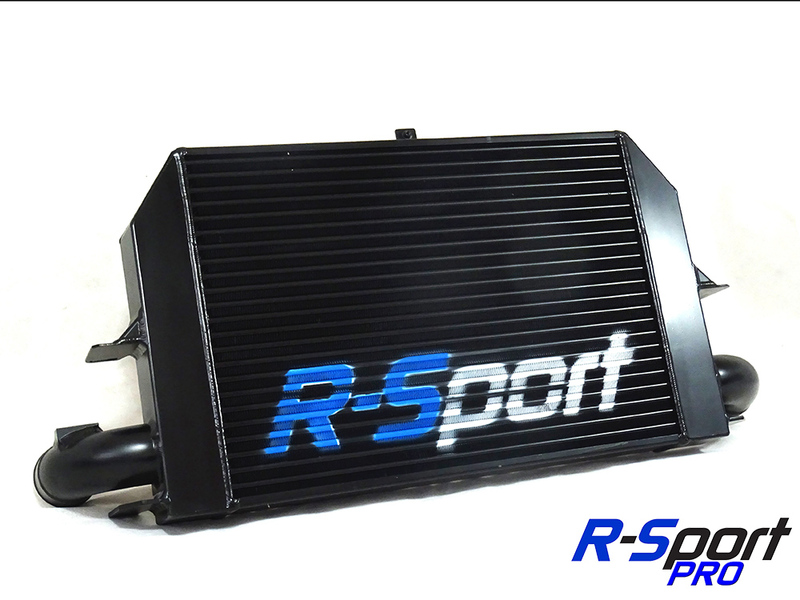 Capable of supporting applications in excess of 400bhp, the R-Sport Pro intercooler is an essential part of any S-Max build! The Pumaspeed Workshop team are ready to fit the S-Max 2.5T R-Sport Pro Intercooler in our Head Office located here. Therefore making parts and labour a total cost £566.40 (inc. VAT). Pumaspeed have a specialist distribution team that can dispatch the S-Max 2.5T R-Sport Pro Intercooler to any destination worldwide.